The zoom compression makes it look almost like a composite photo because the proportions between the seagull and the sanderlings looks off. The picture is fine as cropped. 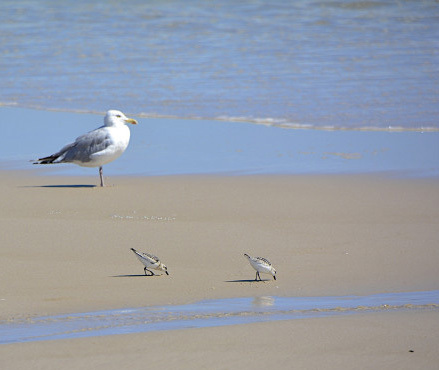 My comment was prompted by the seagull looking very large compared to the sanderlings. 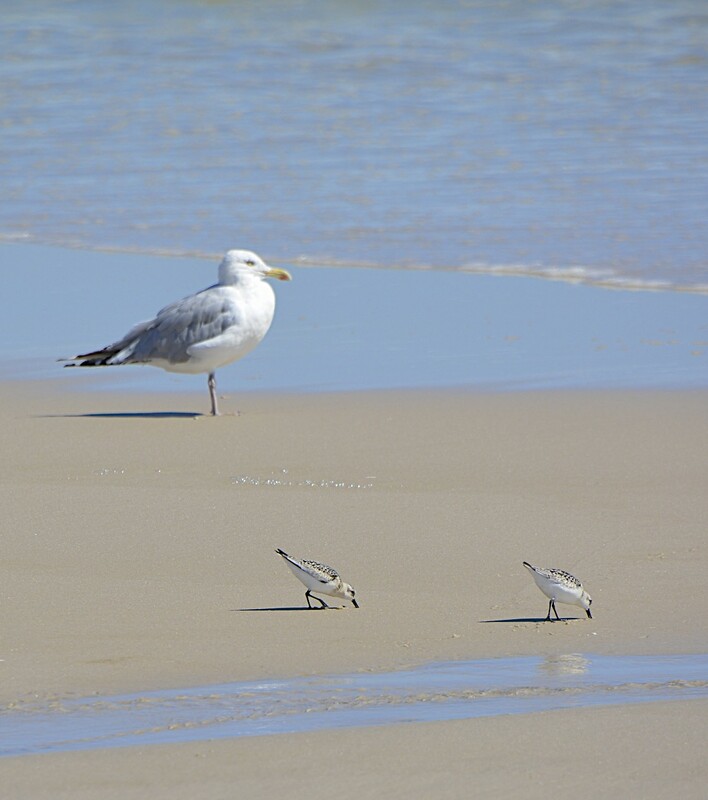 I assumed that might just be zoom distorting the relative distance between them and making the proportions look off but — by looking at the uncropped version — it just looks like a big seagull behind the sanderlings. Although, cropping it does seem to magnify the effect, regardless how they are cropped (I tried a couple of different ways). One suggestion I would make is to leave a bit more room in the direction the birds are facing. I remember reading that as a hint from some nature photographer or other and it relates to leaving a perceived “place to go” ahead of the animal instead of putting the barrier (edge of the photo) too close to them. Ultimately, I think it’s a matter of personal preference.